Shwan grew up in Cap-Haitian, Haiti, then moved to Miami, Florida to finish his senior year in high school in 2013. 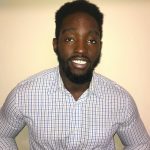 In 2014, he began his undergraduate studies at Miami Dade College and developed an interest in Medicine and Psychology. He believes that what makes good doctors is not just seeing patients as machines they can fix, but as people they can help feel better. In fall 2016, Shwan transferred to UNC to double major in Chemistry and Psychology. Shwan joined the lab in fall 2018, engaging in projects on substance-use behavior. He is looking forward to applying for medical school in the upcoming summer and taking a gap year to do more research and volunteer work. In his spare time, Shwan likes to workout, cook, and spend time with his friends. Ian Niggles is a junior at UNC, double majoring in Psychology and Exercise and Sport Science, with a minor in statistics and analytics. Ian is from Colorado Springs, Colorado, where he spent time snowboarding and hiking before he moved to Wilmington, North Carolina around 10 years ago. He joined the lab in the fall 2018 semester, and is currently performing data collection, entry, and cleanup, in hopes of conducting his own research project at the university one day. 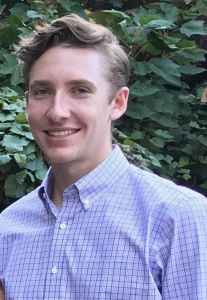 For fun, Ian enjoys playing soccer, watching ice hockey, working with local artists on music production, and taking part in tournaments with the UNC Esports club.